During the month of November 2016, AIT-Dallas held a winter fundraiser to support The Gatehouse, a supportive living community for women and children in crisis. AIT-Dallas teammates, customers and partners all participated in the effort to both raise money and collect goods for The Gatehouse. 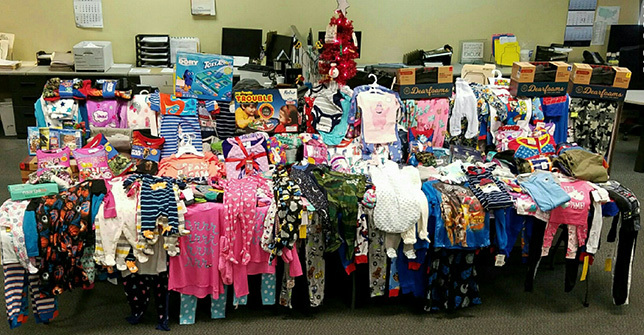 Over the course of the month-long campaign, children’s apparel, DVDs, games, toys and other items were donated. 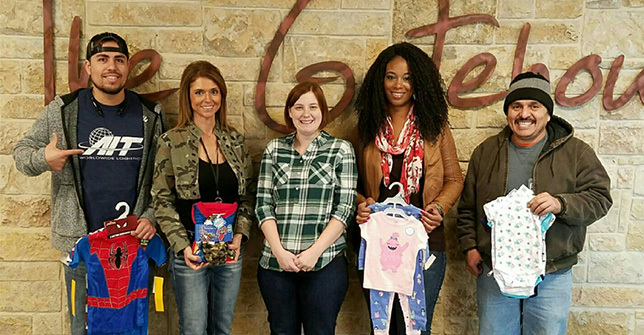 Team members from the Dallas office also pitched in by delivering the donations to The Gatehouse on December 5 using AIT trucks as well as their personal vehicles. The Gatehouse is a supportive living community, located on 61 acres in the DFW Metroplex, where women and children in crisis receive ample time, safe refuge, practical resources and healthy relationships to break cycles of abuse and/or poverty while discovering news paths for permanent change. The Gatehouse community fills the gap between short-term services and permanent self-supportiveness by housing up to 96 families in four neighborhoods. The campus includes an education center, boutique, general store, chapel and walking trails. The Gatehouse is part of AIT Cares - an initiative celebrating co-worker efforts to give back to the communities where we live and work.